Come and join us to enter 2019 with some festivities and friends. 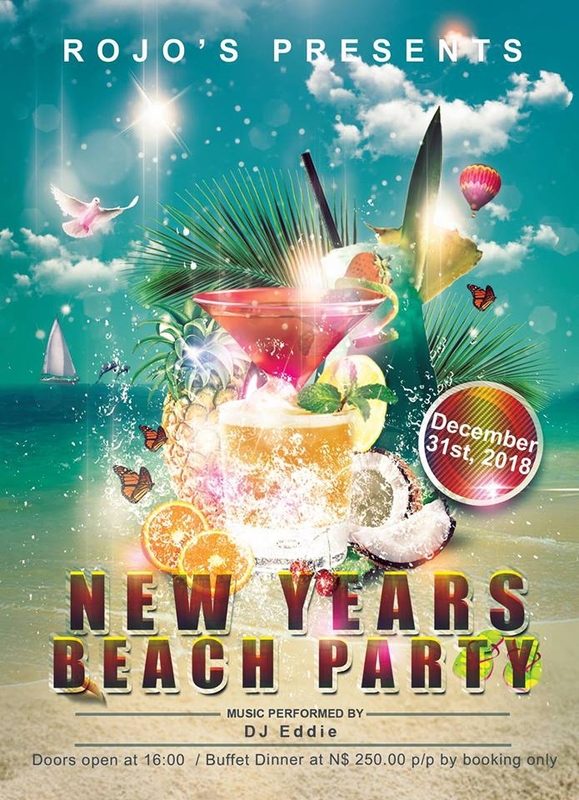 New Years Beach Party at Rojo's Bistro. DJ Eddie will make the festivities rock. Contact +264 64 221 739 or info@rojobistro.com for bookings.